Avoid The Headaches Of Listing Your Home And Sell Your House Fast In Tampa Florida. No Fees. No Hassle. FAST Closing. Get A GUARANTEED “AS IS” Fair Cash Offer Today. You Choose The Closing Date. We Buy Houses In Tampa and across the Tamp Bay area – AS IS and at any price. We’re Ready To Give You A Fair Offer For Your House. >> Check Out How Our Process Works. We Buy Houses Tampa FL for cash. Sell your house fast today to the #1 cash home buyer in the Tampa Bay area. If you want to sell your house fast in Tampa … we’re ready to give you a fair all-cash offer for your property. We’re direct buyers with cash. No middle man, no contract clauses, no inspections. We’re here to stop the stress, you can now say goodbye to your unwanted property. We are ready to buy your Tampa Bay area house, regardless of condition. This means we will buy as is. We’ve helped hundreds of others homeowners in Tampa FL and we want to help you. No more stress, get more money in your pocket, fast closing… you can be done with that property in less than 7 days! We Buy Houses in Tampa FL for the HIGHEST CASH OFFER! Why sell your house to us? Because we specialize in working with homeowners to provide them fast cash, hassle-free buyouts for their houses. There are no realtors, no repairs necessary, and zero months of uncertainty waiting for a buyer! When you say, “I need to sell my house,” call us. We buy houses Tampa fast– for cash! Selling your house the traditional way can be risky. All that hassle can add stress, months to the process, and in the end after paying the agent’s expensive fees, you may or may not be ahead of the game. We Buy Houses Tampa FL – Sell THE EASY WAY today! Complete our short form below to get a no-obligation offer today. We help property owners just like you, in all kinds of situations. From divorce, foreclosure, the death of a family member, burdensome rental property, and all kinds of other situations. Need To Sell Your Home Fast? We Buy Houses In Tampa AS-IS! We buy houses in Tampa and surrounding areas and pay a fair cash price, fast. 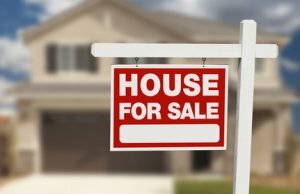 Sometimes, those who own property simply have lives that are too busy to take the time to do all of the things that typically need to be done to prepare a house to sell on the market… if that describes you, just let us know about the property you’d like to be rid of and sell your house fast in Tampa for cash.